JAG Plumbing products is very pleased to partner with ICERA USA to act as the direct distributor of their high quality line of ceramic toilets and sinks throughout Canada. This on line ICERA/St Thomas Creations offering includes an extensive toilet line that offers powerful flushing systems combined with water conservation, stylish profiles and hard to locate colours. Since 1995, ICERA has established a reputation amongst professionals for excellence in one-piece toilets with performance flushing and premium design. ICERA toilets deliver long-lasting performance with numerous options that complement both bathroom designs. Each and every ICERA/St Thomas Creations toilet assures customer satisfaction with a solid limited lifetime warranty. Icera USA provides a LIMITED LIFETIME WARRANTY for its branded vitreous china and fire clay plumbing fixtures to be free of defects in material and workmanship. The Regent toilet is designed to bring warmth and familiarity to any space. The 4.8L lined toilet tank is gently scalloped to create interest without overtaking the visual elements of the space. 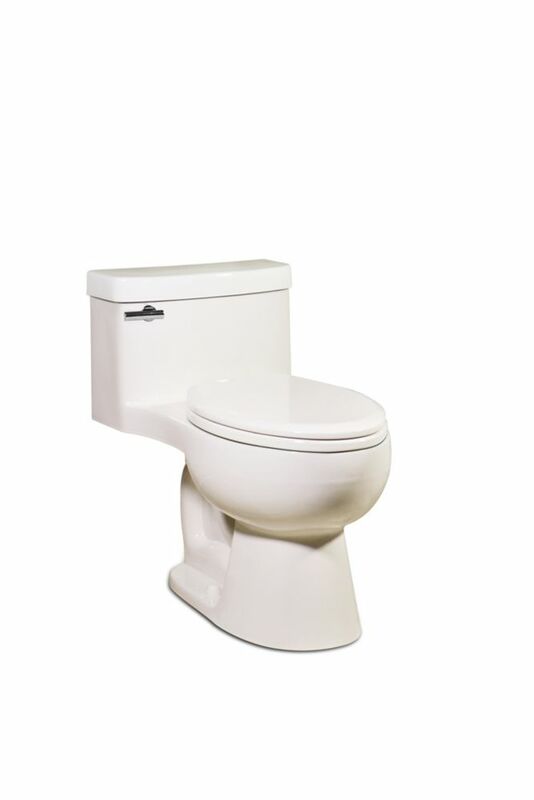 This high efficiency toilet will ensure better water consumption and savings on your water bill. A timeless design, the Premier toilet will effortlessly blend into any surrounding, gladly allowing other pieces to steal the spotlight. The simple clean lines of the 6L lined toilet tank are broken only by the graceful curve of a plain chrome flush valve. The Cadence II combines graceful curves in a contemporary design that ensures a distinctive, sophisticated bathroom style. Naturally, the Cadence becomes the focal point of the bathroom, and its performance and water efficiency are equally notable. Plus, the skirted trapway facilitates cleaning, and installs easily over existing floorboards for remodeling. This Model is available in BALSA as well as in White as C3170-01. Featuring simple, clean lines and EcoQuattro flushing technology, the Malibu II is a reminder that form and function can occupy the same space quite harmoniously. This sleek Icera model features a compact-elongated bowl - all the comfort of an elongated toilet with space-saving in mind. The bolt cover tiles provide a sleek, fully skirted look that is easy to maintain. The Malibu 1-Piece Toilet Elongated Bowl Shape (in Balsa) JAG Plumbing products is very pleased to partner with ICERA USA to act as the direct distributor of their high quality line of ceramic toilets and sinks throughout Canada. This on line ICERA/St Thomas Creations offering includes an extensive toilet line that offers powerful flushing systems combined with water conservation, stylish profiles and hard to locate colours. Since 1995, ICERA has established a reputation amongst professionals for excellence in one-piece toilets with performance flushing and premium design. ICERA toilets deliver long-lasting performance with numerous options that complement both bathroom designs. Each and every ICERA/St Thomas Creations toilet assures customer satisfaction with a solid limited lifetime warranty.